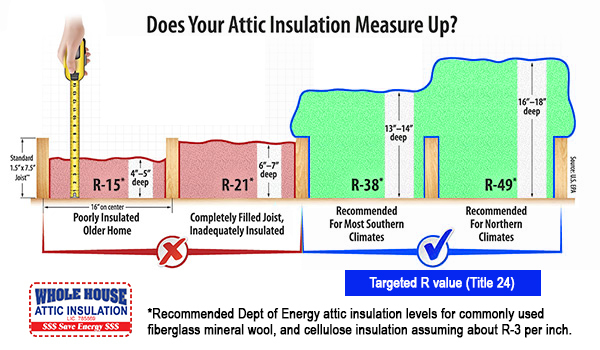 R-Value is a measure of insulation’s ability to resist heat traveling through it. The higher the R-Value the better the thermal performance of the insulation. Title 24 states in new construction and remodels, an R-38 mandatory minimum level of insulation applies when using the performance method of compliance.